On 21 December 2013, Minister of State for Food, Horticulture and Food Safety and Fine Gael TD for Meath East Shane McEntee sadly took his own life. He had represented Meath East since its creation in 2007, and prior to that had been a TD for Meath since winning the 2005 by-election to replace the retiring John Bruton. 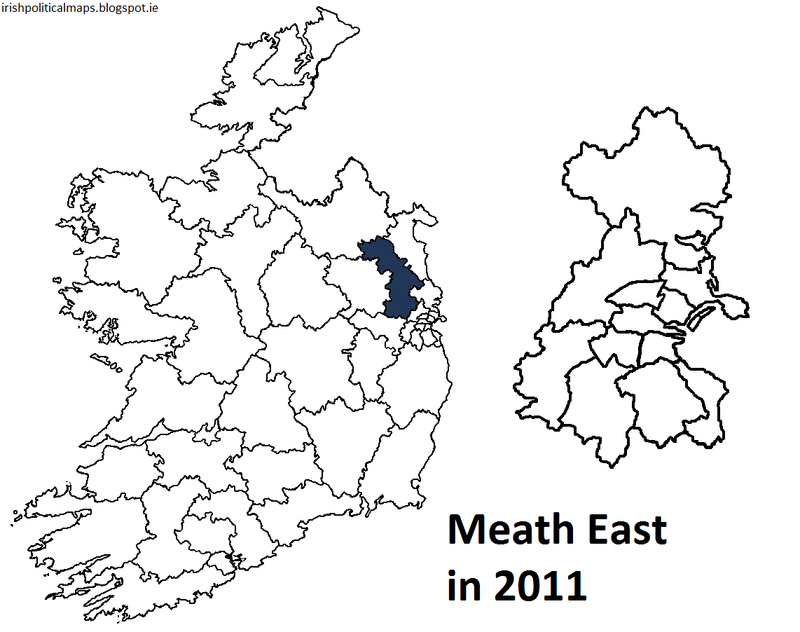 First preference votes in Meath East in the 2011 general election. 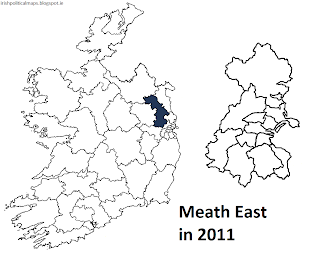 Early next year, the by-election to fill Mr. McEntee's seat was set for 27 March 2013. Fine Gael announced that their candidate would be his daughter, Helen McEntee, who had worked in her father's department. Fianna Fáil nominated former TD Thomas Byrne, who had lost his seat in the 2011 general election, while Sinn Féin selected Darren O'Rourke, an advisor to Cavan-Monaghan TD Caoimhghín Ó Caoláin. The Labour Party, which had topped the poll in the constituency in 2011 through Dominic Hannigan, put forward county councillor Eoin Holmes. The by-election candidates were rounded by the Green Party's Seán Ó Buachalla, the Workers' Party's Seamus MacDonagh, and Ben Gilroy, who ran under the Direct Democracy Ireland banner. Established in 2010, Direct Democracy Ireland campaign to transform Irish politics from representative democracy to direct democracy. Four independent candidates also ran. As was predicted, Helen McEntee won comfortably, with 38.5% of the vote. The win was a boost to Fine Gael, which was watching its poll numbers fall sharply after two years in Government. 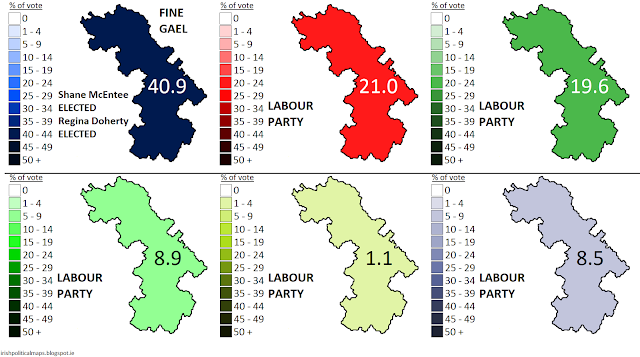 In stark contrast to the results of two years ago, Fianna Fáil came in a close second, just over 5% behind McEntee. Labour suffered a shocking result, falling to fifth place with 4.6%. Sinn Féin came third with 13%, Gilroy and DDI fourth with 6.5%, and neither the Greens nor the Workers' Party were able to improve on their by-now standard poor performances. The four independents managed just 1.8% between them.